What are the interconnections between body and mind, nature and freedom, and what part does the concept of living play in determining them? The essays in this volume examine ontological, anthropological, and ethical dimensions of living through systematic conceptual reflections along with specific analyses of the forms, norms, experiences, and limits of living. 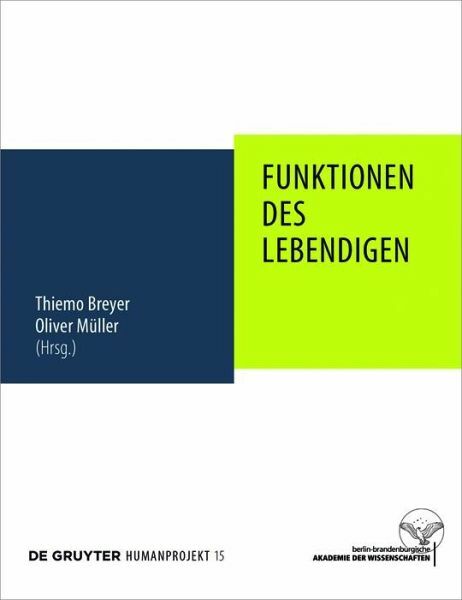 Thiemo Breyer, Universität zu Köln; Oliver Müller, Universität Freiburg.